DIRECTIONS: There are other non-expressway options, but the following will provide basic directions for your convenience. Continue on Peachtree Industrial Blvd for 2 miles (stay to the right at the split to remain on Peachtree Industrial). Turn RIGHT onto Medlock Bridge Road. 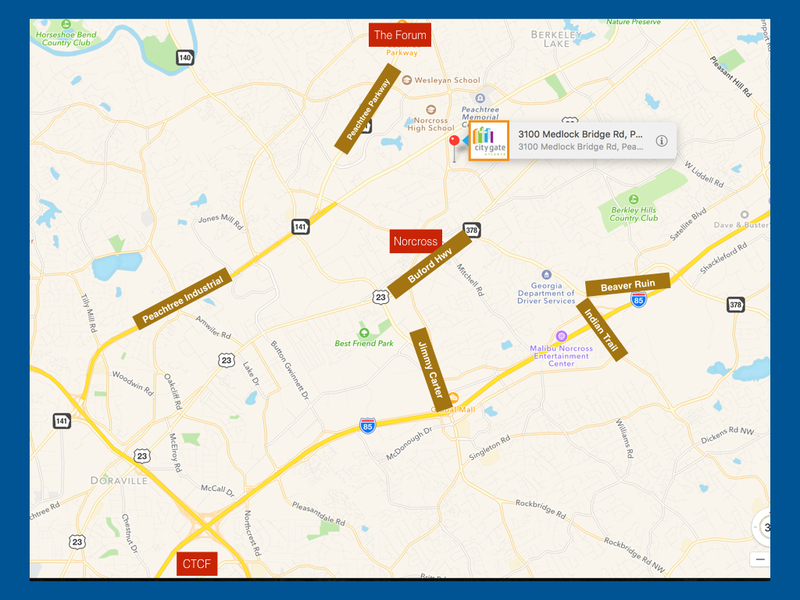 Detination will be on the LEFT in Medlock Oaks Office Park. Bear to the left after turning into the Office Park. Detination will be on your RIGHT, before reaching Peachtree Industrial Blvd. Once you turn into Medlock Oaks Office Park. Bear to the left after turning into the Office Park. Take I-85 North to I-285 W toward Chattanooga.